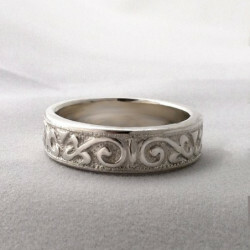 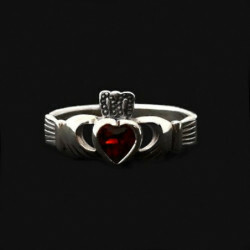 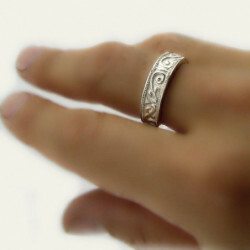 Beautiful unisex ring carefully hand carved in solid silver 950. 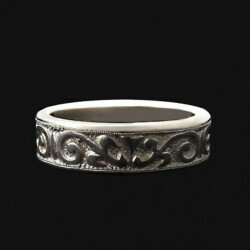 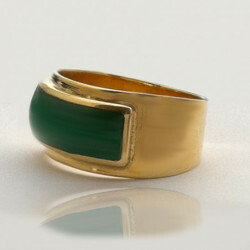 You can use it as a wedding band. 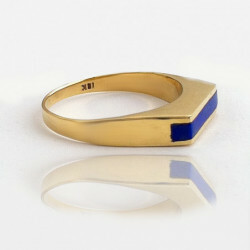 We can make it in 18k white or yellow Gold. 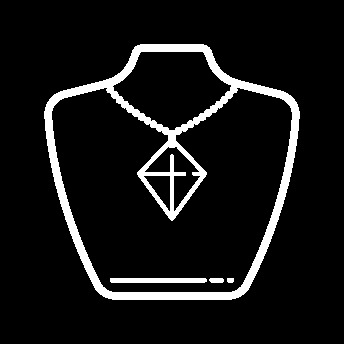 Presentation box is included.